Lynn Lane, Dr. Ingrid Gerling, Fanny Spangaro, Jennifer Mabus, Julia Fox, Thomas Frey and Austin Lewellyn in Untitled: Darkness and Light in Eight with video work by Ron Kiley, as part of the Transitory Sound and Movement Collective at the Rec Room, 2017. Photo by Lynn Lane. I think of Houston as a creative Bento box, in the way that New York is a melting pot. Art people go to galleries and museums, music people go to the opera and symphony, and so on. There is crossover, though people often segment. In a parking lot one night following a local orchestra performance, I mused on this with Lynn Lane, founder of Transitory Sound and Movement Collective (TSMC). The Collective performs next on Aug. 15 at the Rec Room with Houston Ballet’s Connor Walsh and others. Lane and I share New York as a backdrop, having spent different decades there. “In that city,” he vamped, “everybody goes to everything. You see these people there, and those people here.” And in that parking lot, it became clear why TSMC exists. 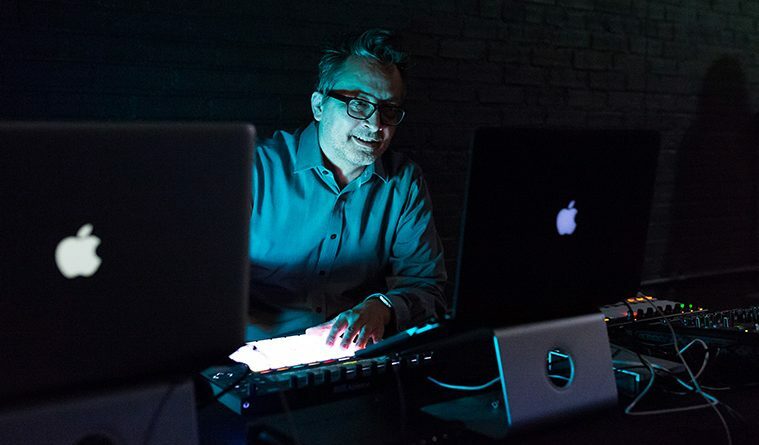 Self-described, TSMC is a vehicle that gathers artists to create immersive and experiential work. To that mission, the Collective stays true. Each performance is a creative cornucopia, providing fodder for nearly all the artistic senses. Currently these works are presented in residency each month downtown at the Rec Room. 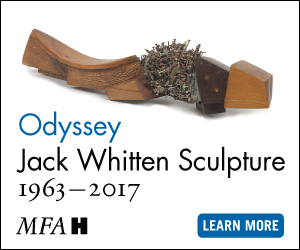 Guests typically experience 50-60 minutes of intensely improvisatory sound, movement and visuals. To the audience, there is no formal beginning or end, and most events conclude with a wonderfully suspenseful silence—an intentionally incorporated homage to Quakerism, which Lane practices. 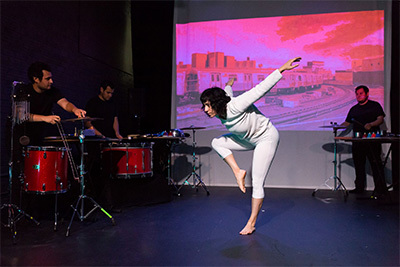 Zach Gutierrez, Jacob Gutierrez, Danielle Georgiou and Sarek Gutierrez in Freaks, Geeks, Beats and Feets or Feats as part of Transitory Sound and Movement Collective, Rec Room, 2017. Photo by Lynn Lane. If you haven’t experienced the Collective, this description might not do it justice. To the uninitiated, it might sound like performance art, and to some, that might be true. In the Rec Room lobby after a winter performance, one guest shared, “I don’t get it…what are they trying to do?” In June, a young lady sitting near me joked, “I can’t tell if it’s starting…” Part of me believes this is exactly the point. While Mabus, Roidl-Ward and others may be Houston-centric, TSMC’s composition is purposely expansive—hence transitory. 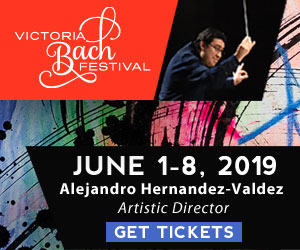 At any given performance you certainly see artmakers from the Bayou City, though others such as movement artists Danielle Georgiou (Dallas), Alexa Capareda and AJ Garcia-Rameau (both Austin) have also graced the stage. Work by NYC filmmaker Ron Kiley has functioned as a visual backdrop for many of the shows. 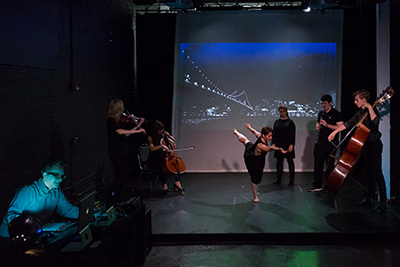 Annie Arnoult and the artists of Times Square in 60, Improvisation for 19 Musicians with Movement and Film, as part of the Transitory Sound and Movement Collective at the Rec Room. Photo by Mark Wozny. With regard to space and arrangement, TSMC makes some interesting things happen at the Rec Room. 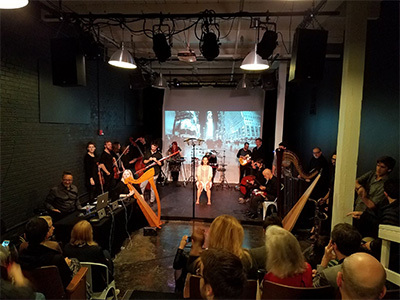 In January on its modest stage, the Collective packed in nearly 20 artists, a feat made possible in part because of the ensemble’s improvisatory nature—no music stands. Similarly in April at Rice Gallery, the artists reflected on Sol Lewitt’s exhibition Glossy and Flat Black Squares. “The paintings were so powerful,” says Roidl-Ward, “and we were able to respond to them and to each other in a way that was unique to that moment. That performance could not have been notated—it was created by our ‘conversations’ in that moment in that space.” Lane is already in talks with Rothko Chapel about exploring a site-specific work in their space for early 2018. More than what I find striking about what TSMC does do is what doesn’t do—marketing. Aside from some social media posts and other modest coverage, as a group the Collective is virtually silent, relying instead on each respective month’s performers to create the buzz. While I find this a curious model, it is effective, and organically lends itself to the idea of bringing together otherwise disparate audiences. It remains to be seen if TSMC is crafting a creative shift in Houston, though I certainly do hope so. After all, that may be what they’re trying to do. Evan Wildstein writes, rants and revels in all-things-creative in Houston, TX.